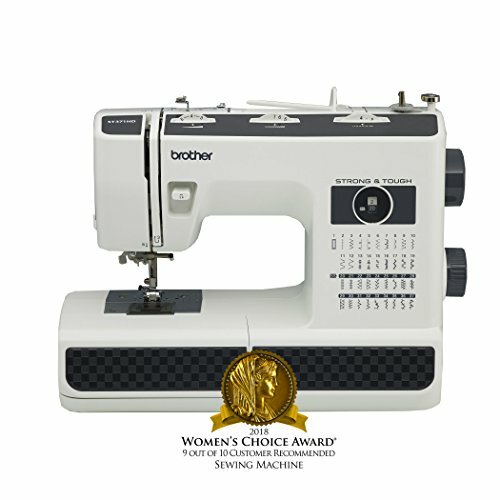 Built for versatility, the Brother ST371HD Strong and Tough Sewing Machine is strong enough to handle thick seams, outdoor fabrics and hemming jeans and is also perfect for everyday sewing and mending projects. 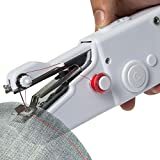 The 37 built-in stitches include utility and decorative stitches, a blind hem stitch for virtually invisible hems, stretch stitches for knits, reinforcement stitches and a one-step buttonholer that creates buttonholes automatically sized to fit your specific buttons. 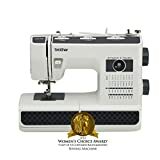 The ST371HD comes complete with 6 sewing feet, with a spring action zigzag foot, nonstick, blind stitch, zipper, buttonhole and button sewing feet. 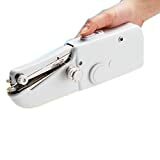 Easily stitch over thick seams with the spring action zigzag foot and use the nonstick foot for suede and difficult fabrics. 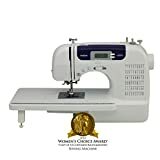 The durable metal needle plate helps provide smoother fabric feeding and heavyweight needles are included to handle multiple layers of heavier fabrics.